This is a NEW Co-Culture System and Vessel Technology!! Co-culturing is a procedure whereby a plurality of different kinds of cells is grown directly or indirectly in the same environment. Co-culturing is mandatory in experimental systems that observe natural cell interactions. Since it was introduced in the 1980’s for intercellular communication research, it has been used in various fields of study. The main motivation behind employing co-culture systems is to examine interactions between natural cells and microorganisms and to develop novel cell engineering techniques using such interactions. Until now, it was inconvenient to grow two different cultures sharing media/liquid factors because the plastic vessels were poorly designed. Researchers were expected to grow cultures on an insert and submerge it inside the culture well with the study cells. 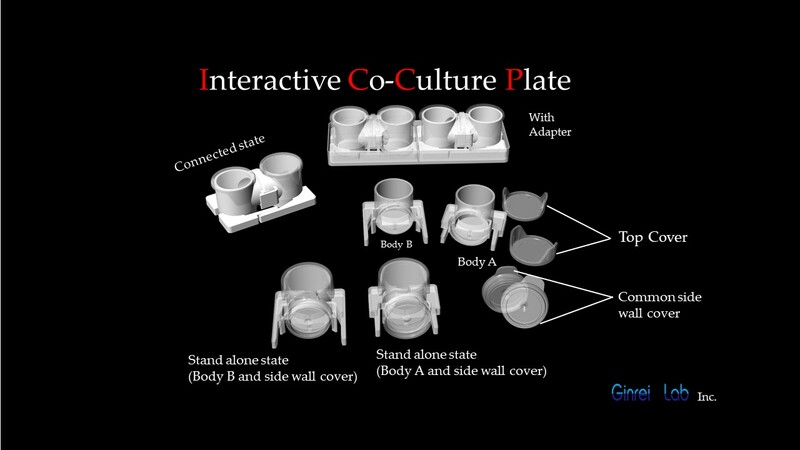 This method to share culture fluids at the top (on the insert) and bottom (on the bottom dish) in cell-cell interaction studies was called “transwell” style or “cell-culture insert” type (a plastic cell culture system). This inadequate style was invented more than 50 years ago and is well known by many researchers who are still using it today. Following are a list of reasons that the “transwell” style is inadequate and why we have invented the ICCP. ICCP is an ideal Co-Culture vessel technology to solve problems encountered when using the “transwell” style. Researchers cannot observe both cell lines with a microscope at the same time (cells growing on the insert and cells on the culture well). By re-designing the vessels for ICCP, we changed from a vertical connection to horizontal connection, so researchers can observe BOTH cell cultures condition simultaneously. It is simple for researchers to observe the cells in both containers at the same time using an inverted microscope. This layout works perfectly for Time-lapse recording of both containers simultaneously (time-lapse video of growing cells is a powerful technique for observing a variety of cellular interactions and cell morphologies as each cell line matures). Additionally, researchers can freely choose from a variety of commercially available 13mm diameter round filters to control the sharing/penetration of substances/molecules/factors in the liquid media. 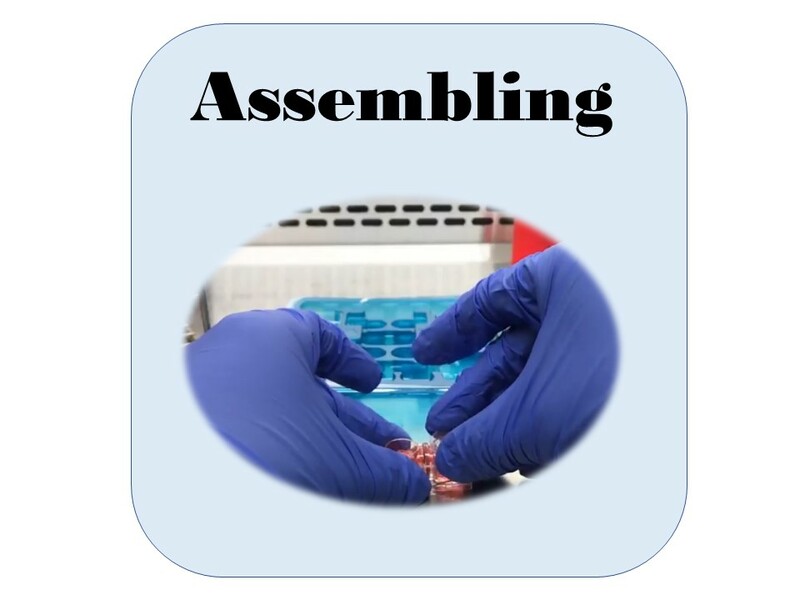 Therefore, ICCP is the best for various biotechnology/ medicine/cell research as a new type of interactive and innovative cell co-culture vessel. ICCP was designed for growing two cell cultures and sharing the liquid media between them. The cells are not cultured on the same type of material surface for both the plastic insert and the plastic culture well bottom. 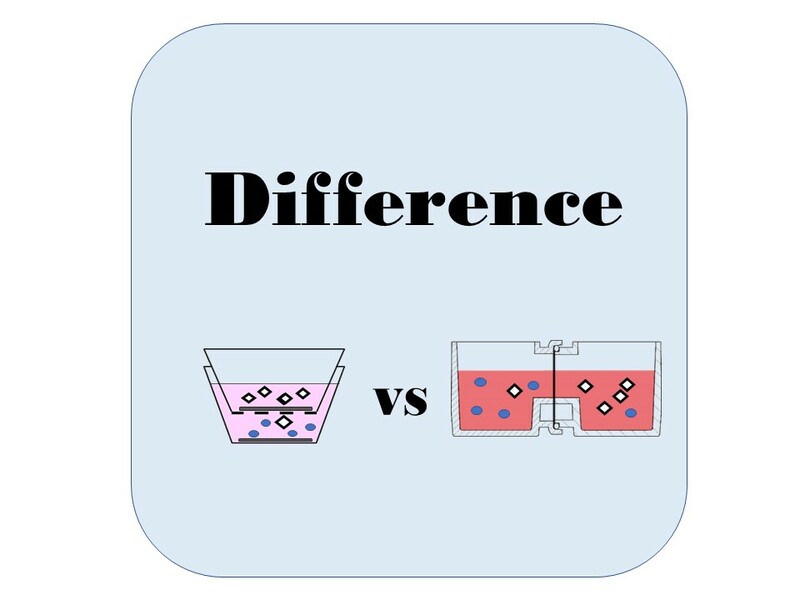 The cells are not cultured on the same type of plastic material for both containers (this could impact experimental results). This is a serious problem for properly controlled experiments when each of the cell lines is grown on a different type of plastic. All ICCP vessels are made of the same high quality, microscopy grade plastic which is optimized for cellular growth. There is no difference in the growth chambers when using ICCP. When using Method A, researchers can easily transfer to “Co-Culture mode” from “Stand-alone mode”. “Stand Alone mode” is useful for independent environment cell-culture. 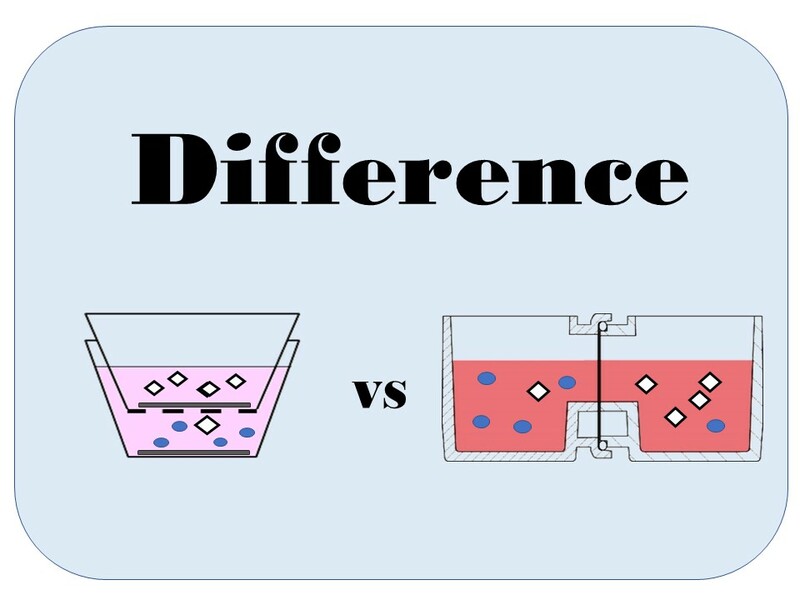 After different initial independent growth has occurred, the connecting vessels for Co-culture are easy and without damage to cells. The size of the ICCP base adapter is identical to a Microscope Glass Slide. 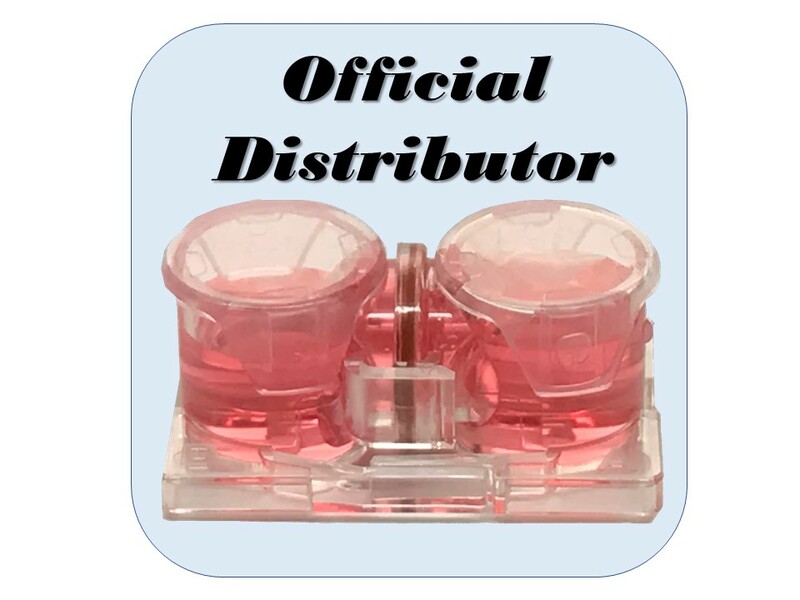 One adaptor is included in each blister pack. The microscope adapter makes an observation by time-lapse microscope simple. 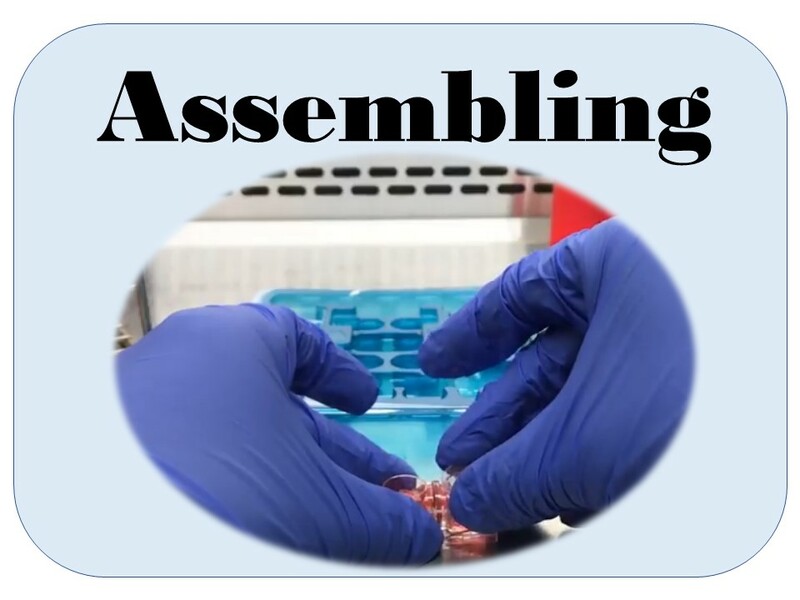 For the researcher who would like to observe multiple conditions or perform high-throughput co-culture study, we also offer the 96 well-size adapters (ICCP holder 96) as an option. ” ICCP-filter 0.6″ is the Track Etched Membrane made by polycarbonate. The ICCP filter 0.6 has defined pore size of 0.6µm, lower absorption of proteins, no possibility for two distinct cell cultures to be cross-contamination, smooth & continuous passage of proteins and cytokines including exosomes from vessel to vessel. “ICCP-holder 96” is an adapter for 96 well plate size for placement of four sets of ICCP vessels. Therefore, four sets of ICCP (8 pairs of body A container connected to body B container) can be used for simultaneous observation. UniWells™ is a product for FUJIFILM Wako Pure Chemical Corporation.